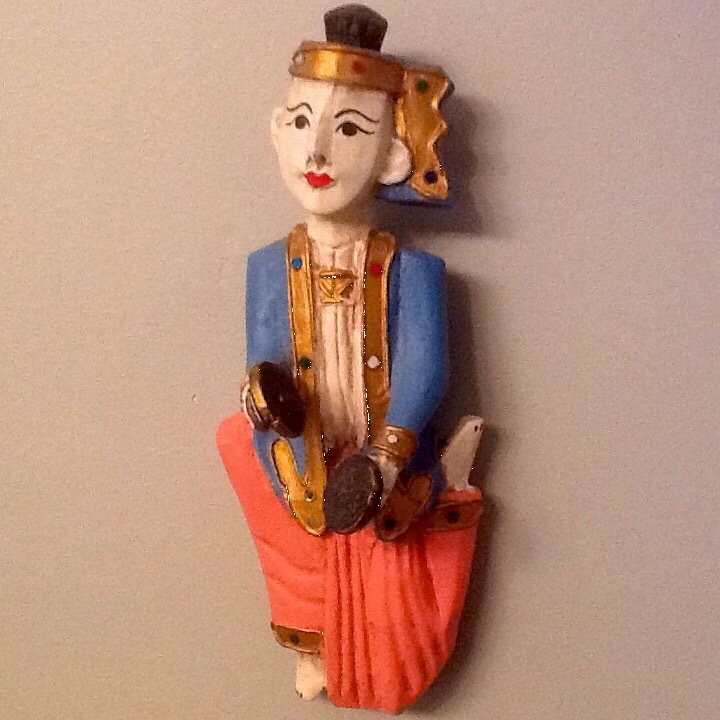 My husband’s favorite ethnic food is Thai. Yes. I said Thai. Not Greek. Not Irish. No ethnicity connection whatsoever. But this man LOVES Thai food. So about 17 years ago I decided it was something I needed to study. I have made Pad Thai so many times that I cannot count them. It is a bit like Mac and Cheese in other households. We eat it often. 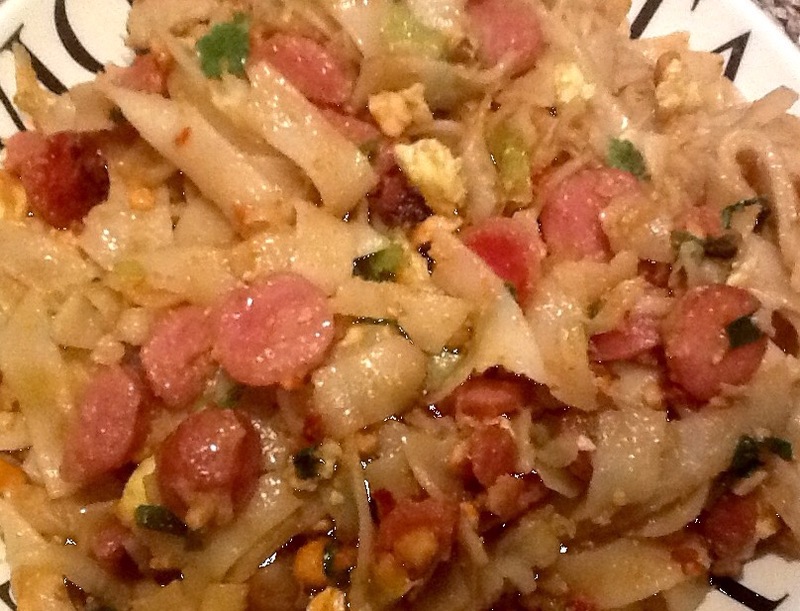 Tonight I made a slightly different version with XL rice noodles and Lap chang (Chinese sausage). What a wonderful result! Sweet sausage with the spicy peanuty sauce of Pad Thai! The contrast is great! Dish #2 is Larb. Cannot get enough of this stuff! 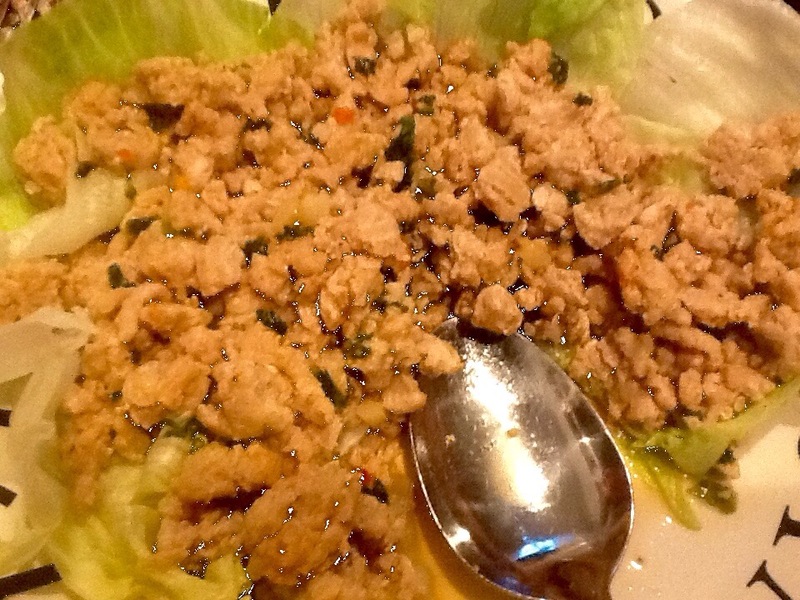 Ground chicken is sautéed with green onion, garlic, chili pepper, fish sauce, pepper (white), lime juice (don’t be stingy)and cilantro. Serve on lettuce cups or over lettuce or cabbage. 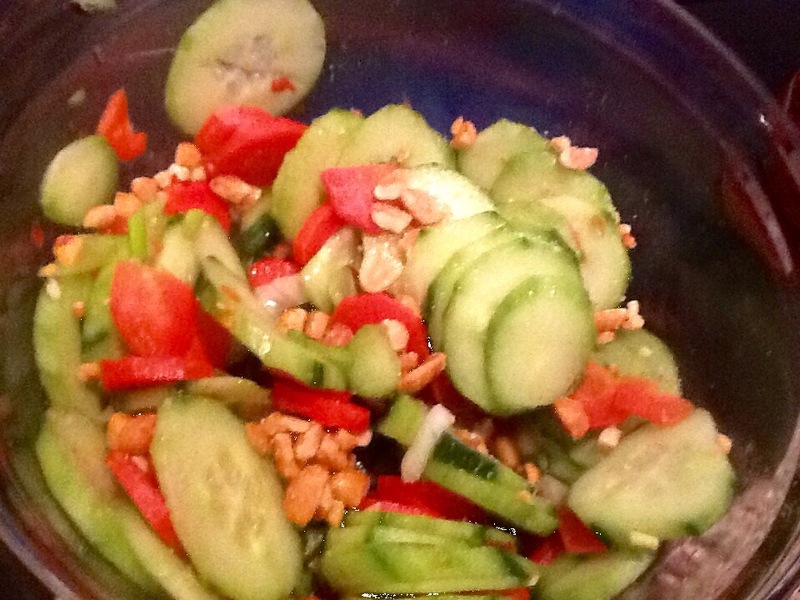 A wonderful side dish for any Thai meal is a cucumber salad. Thinly sliced cucumbers, carrots (I used red carrots for extra color), scallions, chili flakes, rice wine vinegar, sugar, salt and white pepper. Really refreshing! Next Next post: Mexican, Si!